Materials Science and Engineering Associate Professor Susan Babcock uses advanced microscopy to explore influential atomic zones known as “grain boundaries.” Similar to cement between bricks of a building, these areas of increased solute concentration are like long lines of mortar that can heavily influence and potentially enhance material properties. 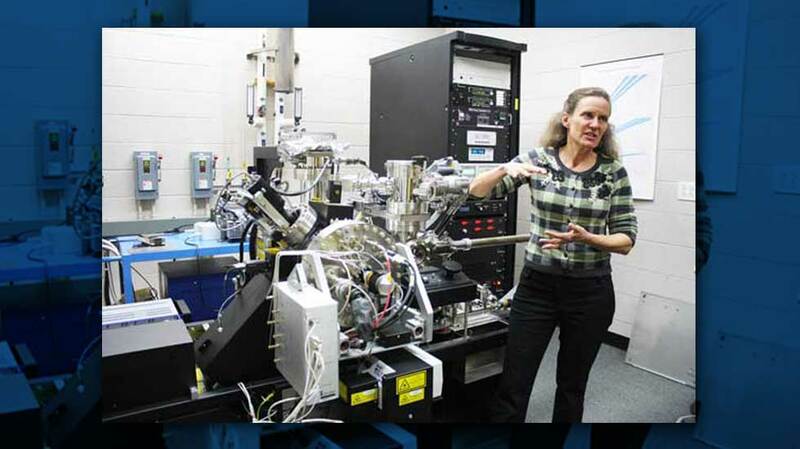 Professor Susan Babcock in front of the CAMECA Leap atom probe. Babcock’s group is using a local electrode atom probe (CAMECA® LEAP™) purchased with major contributions from the UW MRSEC, WMI, the MSC, MS&E, CBE, and EP for a broad range of research projects including mapping of solute location in metastable semiconductor alloys and three dimensional mapping of grain boundary-segregated species in nuclear materials. The LEAP operates by field-induced desorption of one atomic layer at a time. Within each layer, atom positions are determined from their paths to a position-resolved detector and their mass is determined from their time of flight. Technology and sample preparation techniques for the CAMECA LEAP were conceived in the Materials Science Center at UW-Madison, and the LEAP is orders of magnitude faster in many performance criteria than any other atom probe microscope, and can also analyze significantly larger volumes of materials. In addition to Susan’s metastable compound semiconductor work, her group plans to explore its application to other materials in the MRSEC, such as surface tethered organic molecules and liquid crystal materials. 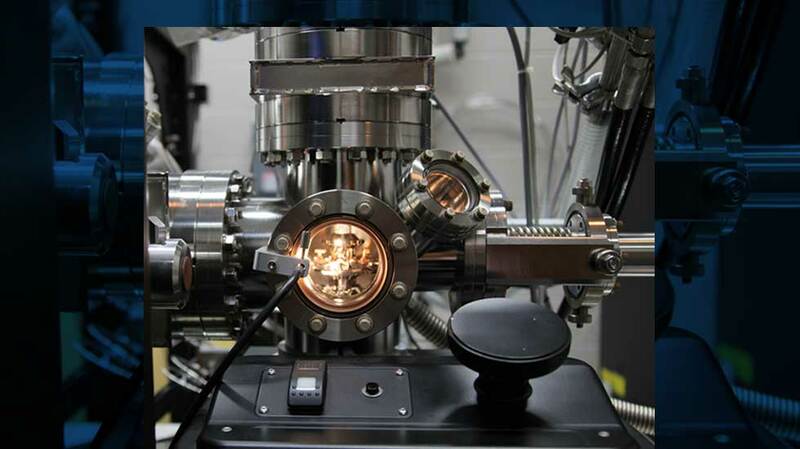 Susan’s work with the CAMECA LEAP will also establish its presence within the Materials Science Center facility to enhance other groups’ materials research on campus.